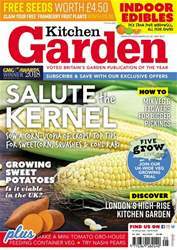 The itch to grow your own can be a strong one and if you don’t have space to produce your own crops, or the time to tend to it, you can still grow some food indoors. 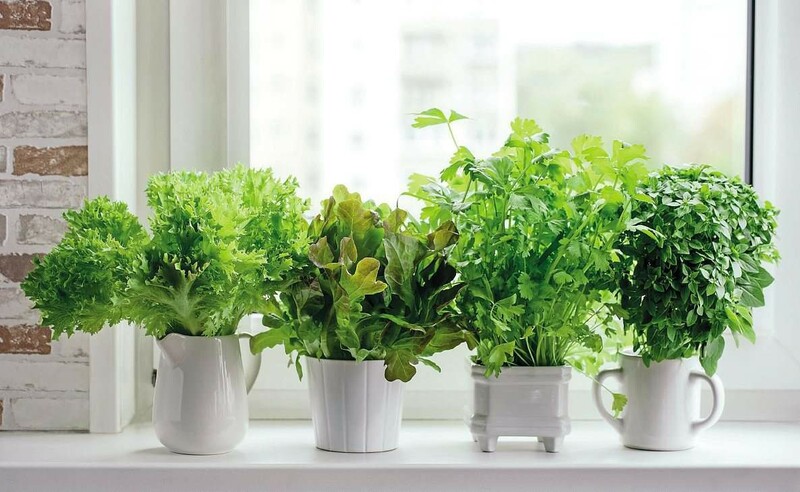 Indoor space is also handy if you just want to give tender veggies an early start or ensure a few herbs are always at hand to harvest for that teatime dish. 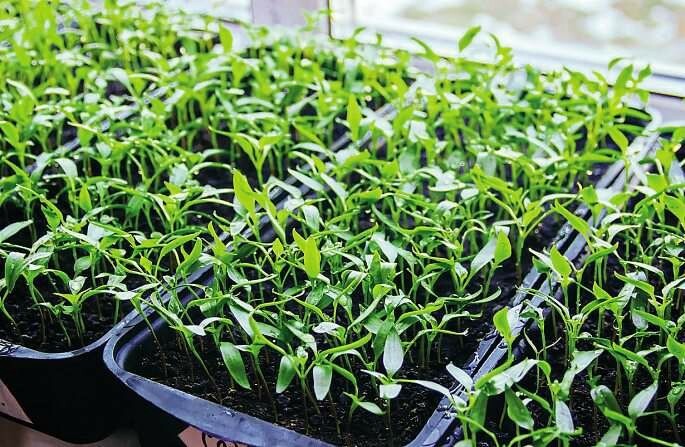 I’ve always used the windowsills, and any other available indoor space, to grow salad leaves, herbs and newly sown seeds and it is at this time of year when these spaces become jampacked with pots of all shapes and sizes. This is despite having a polytunnel and greenhouse! The idea isn’t to try and feed the family – it is just nice to have a pot or three of edibles to hand where you can grab a few leaves for the pot, or a few cherry tomatoes for a lunchtime treat, without having to make a special trip to the veg garden. Besides which, many of the plants you can grow indoors are highly decorative and a joy to look at.